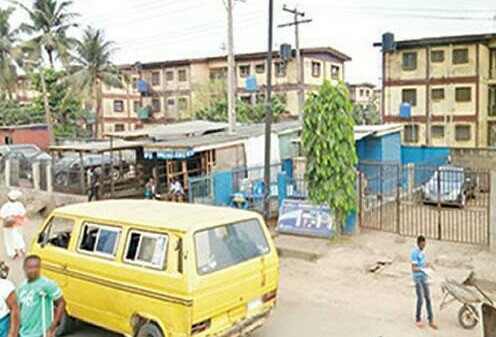 A postgraduate student of the Federal University of Agriculture, Abeokuta, has accused a man, Adesoji Orenowo, of r*ping her in his house at European Quarters, Meiran, Lagos. It was gathered that the 24-year-old lady met Orenowo at a wedding ceremony in Ibadan, Oyo State, in December 2017. He invited the lady, who resided in Abeokuta, to his house in Lagos. The 35-year-old was alleged to have r*ped her during the encounter. She said, “The reason I visited him was to know him more after we met in December 2017. He told me that he was always busy at work and if I were free during the weekend, we could hook up. He sent me N3,000 for transport fare. That was the first time he would send money to me. The victim said she reported the incident to Orenowo’s uncle and left the house for a hospital. She said a nurse followed her to a police station to report the case. He said, “While I was touching her after we had retired to bed, she told me not to touch her that she was in a fasting and prayer programme. She took the Bible on my bed and left the room. Orenowo was arraigned before an Ogba Magistrates’ Court on one count of s*xual assault. The police prosecutor, Inspector Christopher John, said the offence contravened Section 261 of the Criminal Law of Lagos State.